I remember passing by this Venice house and wishing I had the nerve to ask for a home tour. Fortunately, I got my wish via this LA Times feature. 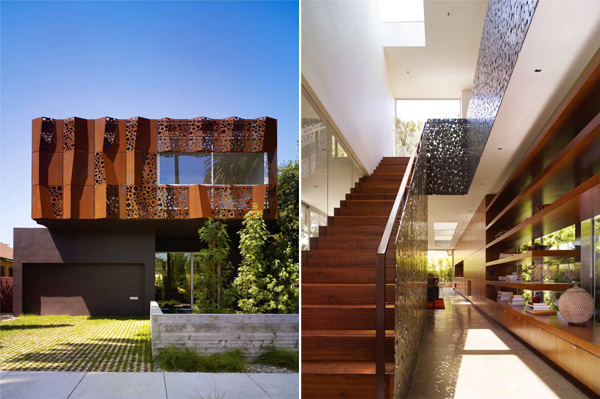 Architect Daniel Monti designed this house for his parents. 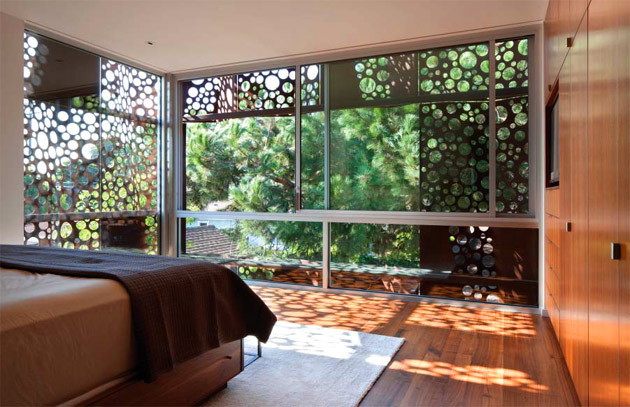 He created the gorgeous screen of Cor-ten steel that was bent and perforated by 3,000 circles. 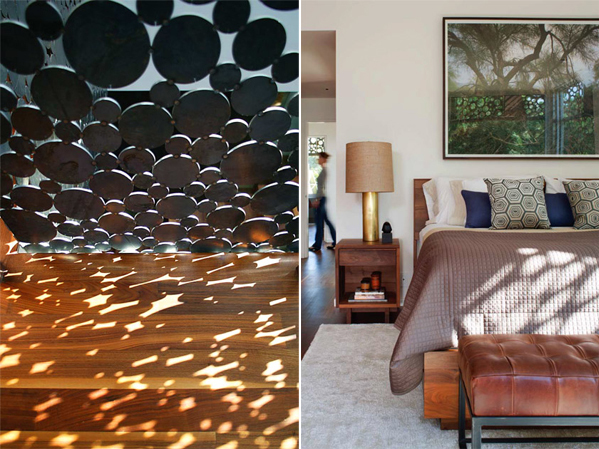 The circles of various sizes were used for the staircase's guardrail. Ingenious. 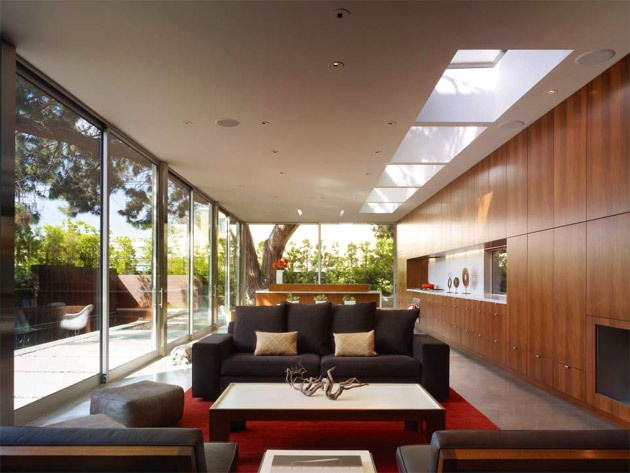 I'm in love with the light and shadows in the home, as well as the openness and simplicity of its design. Open space, one of my dream. 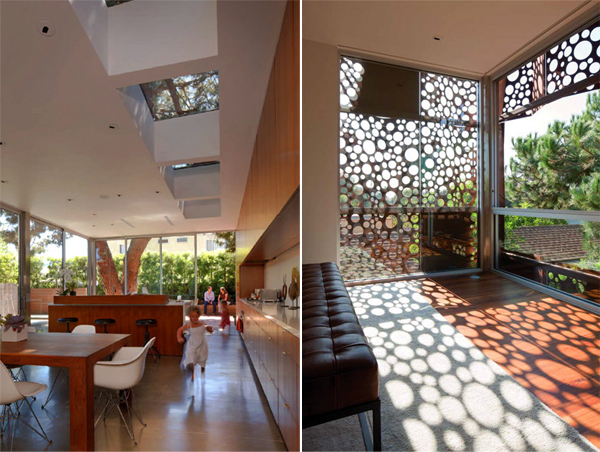 Love the window designs, it creates something quite nice.